Metal refers to the teeth composition and is available in a variety of finishes and on various tapes. 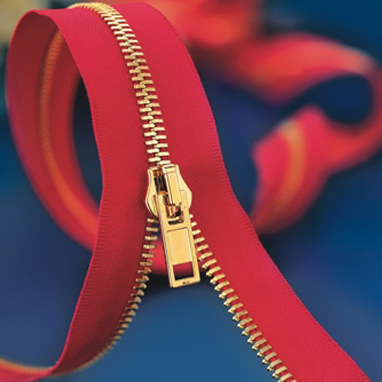 Teeth are shaped from aluminum or brass and clamped on to a zipper tape's corded edge in even intervals. The slider is specially engineered to work with the corresponding teeth. A variety of pulls are available to attach to the slider for utilitarian and decorative use.